The sinuses are small cavities in the skull that are normally filled with air. They produce Mucus, which warm and moisten inhaled air and filter out germs, allergens, and pollutants. If the sinuses are congested and can’t drain properly, the mucus continues to accumulate and stagnate, sometimes reaching the point of getting a bacterial infection. 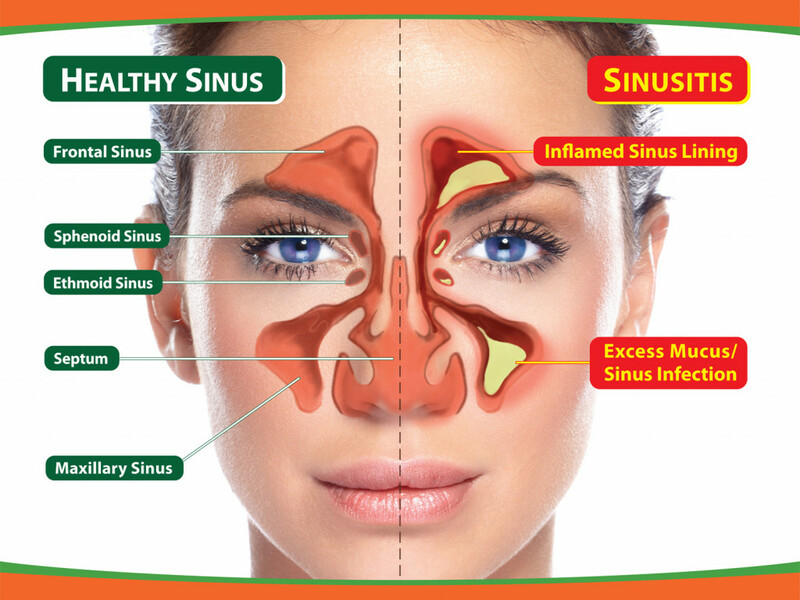 Thus, the sinuses can’t operate efficiently and this leads to the inflammation of the tissue that lines these cavities, and that is what is called Sinus Infection (Sinusitis). The causes are usually a cold, viruses, bacteria and allergies, and sometimes fungus. It can also be caused by problems in the structure of the nasal passages that block the sinuses. The main symptoms are pressure and pain in the pain, especially in the areas close to the sinuses, and congestion and thick discolored mucus. Acute sinusitis (lasts up to a month). Chronic sinusitis (lasts more than 12 weeks, lingering for an indefinite duration). 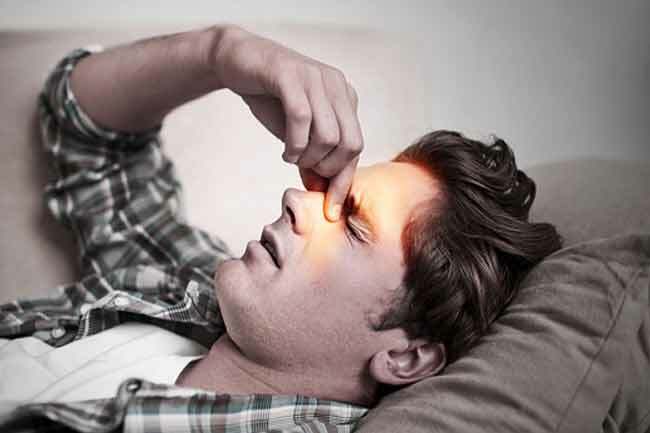 Sinusitis is a common condition. It can cause pain and pressure, and it can last long. Although it is usually not quite serious, it is painful, annoying and wearying. However, it can end up being a real trouble because it leaves you exposed to dangerous bacteria, viruses, and allergens. 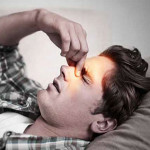 Sinusitis often clears up on its own; the key is to figure out the ultimate cause of your sinusitis. You can ease the pain and symptoms with home remedies. Apart from OTC medications for sinus infections, you can try these home remedies. Saltwater rinse is one of the most effective remedies. It removes mucus and other debris from your nose. Therefore, this cleaning helps the cilia (nose hair-like fibers) and gets it ready to do its work. Do this nasal irrigation several times a day to relieve symptoms. To prepare your own saltwater nasal rinse you need water, salt (preferably sea salt because it contains minerals) and a bulb syringe. Mix 1 teaspoon of salt with 8 ounces of warm, distilled water (you can simply boil it). You can add 1 teaspoon of “no tears” baby shampoo to make it more efficient. Fill the syringe with the saltwater rinse. Gently insert the tip of the syringe inside your nose. Then point the tip of the syringe upward and gently squeeze the salt water rinse into the right nostril. Let drain out of your mouth or other nostrils. Rinse the syringe after each use. Breathing steam vapors help decongest nasal passages. You can either boil water and breathe in the steam with a towel over your head or turn on the shower tap and breathe in the steam when the water is hot. Apple cider vinegar helps to thin congested mucus, making it easier to get rid of them. 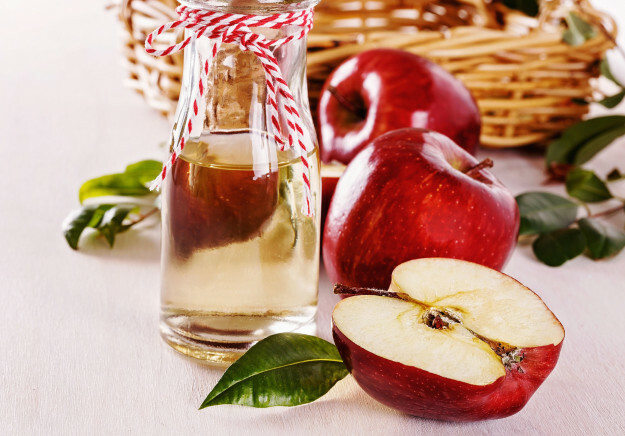 Mix 1-2 teaspoons of apple cider vinegar with 6 ounces of water and a teaspoon of honey. Drink the solution 3 times a day for 5 days. Or drink 1 tablespoon 3 times a day. You can dilute it in water. Drinking a lot of fluids keeps the mucus thin. It is easier to get rid of or put up with thin mucus than with a thick layer of mucus, it is much more uncomfortable and makes more pressure. Warm heat can relieve some of the pressure. Put a warm, wet towel on your face and leave it on until you feel better. In addition, using a humidifier can help you as it moistens the air and removes irritants like dry air or cigarette smoke.